Toledo OH: June 15, 2016: SMIN Power Group President Sandrine Mubenga will present “Energy Is Life” as a keynote address at the 27th Annual Energy Fair sponsored by the Midwest Renewable Energy Association. The presentation is scheduled for Saturday, June 18 at 6:00 p.m. on the Main Stage. According to Mubenga, The lack of electricity in remote areas of the world, such as the DRCongo in Africa, prevents access to modern health care delivery, hinders education, reduces quality of life, and prevents access to Internet information much of the world takes for granted. Even where electricity is purportedly available, it may be supplied sporadically, unpredictably, or only for a few hours each day. I almost died once while waiting for a life or death surgery when a hospital in Africa could not obtain gasoline for their generator. This incident shaped my heart for Africa & the world, leading me to choose to dedicate my life to developing electrical engineering skills and founding SMIN Power Group LLC in order to solve this problem (Mubenga, 2016). Mubenga will discuss available technologies and the need for sustainable practices as well as a need for urgency and action at the global level for sound Humanitarian, Environmental, and Governmental initiatives. Ngalula Sandrine Mubenga, PE, MSEE, was born in Kinshasa, in the Democratic Republic of the Congo (DRC). She is the Electrical Engineering Manager at the University of Toledo, USA where she manages the Building Automation Team, and assists in managing the yearly $15 million utility budget. Mubenga is a registered Professional Engineer (PE) in the state of Ohio, USA with over 10 years of experience in renewable energy systems design and integration, electrical distribution and protection, arc flash mitigation, energy management, and construction management. 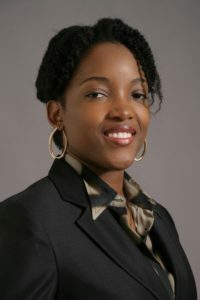 She holds her Bachelor and Masters (MSEE) degrees in Electrical Engineering from the University of Toledo where she is currently pursuing a doctorate degree in the same field.